Making Swindon town centre a more attractive, successful and competitive place requires a comprehensive masterplan for the area's complete development. 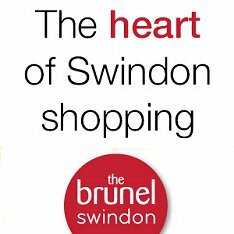 That's exactly what the process 'Planning Swindon Together' hopes to deliver this year: a blueprint and delivery plan for transforming the heart of Swindon. 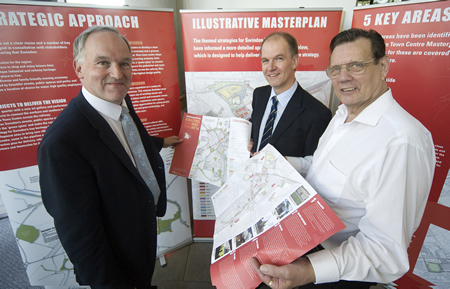 Devised by Forward Swindon and Allies and Morrison, and driven by local stakeholders (including community representatives and business leaders), the new Masterplan aims to provide a clear long-term framework for developing the town centre. Cllr. Rod Bluh, CEO of Forward Swindon Ian Piper & Garry Perkins unveiled the new plans at Swindon's Central Library on Tuesday 04 September, where they will be on show until October before being moved to Swindon North Library. For more information, please visit the Forward Swindon website via the link below.